Mary Alvarez, Ph.D. is a licensed psychologist in private practice. 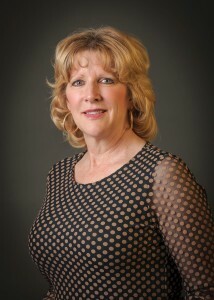 Her office is located in the Friendswood/Clear Lake area of Houston, Texas. Dr. Alvarez has been in private practice since 1995 and her practice is both clinical and forensic in nature. Dr. Alvarez is committed to providing the highest quality clinical and forensic services to her clients. Dr. Alvarez remains current in the research concerning the types of psychological disorders that she treats, as well as the relevant research concerning the types of forensic evaluations and services that she conducts. Dr. Alvarez also attends continuing education conferences throughout each year. Dr. Alvarez is a member in good standing in both the American Psychological Association and the Texas Psychological Association. Alvarez, M. and Barrientos, G. (1987). Bulimic behavior as a function of stressful environmental events. Master’s Thesis, University of Texas-El Paso. Alvarez, M. and Naus, M. (1991). The effects of rehearsal training on memory in children with ADHD. Master’s Thesis, University of Houston. Alvarez, M. and Hiscock, M. (1995). Concurrent task performance of children with ADHD: Effects of stimulant medication and reward. Doctoral Dissertation, University of Houston.